Caregiver Tax Services is owned and operated by Linh Tsiu and her team. Linh Tsiu is a Certified General Accountant with over 20 years experience in accounting, payroll and tax. She has worked in several of Canada’s major markets progressively through the years for the Red Cross Centre in Winnipeg, LawPRO – a large indemnity insurance company in Toronto, and for the largest conveyance company in BC. Prior to her current practice, she consulted in business development, specializing in expanding markets for small-to-medium sized companies through Competitive and Financial Analysis and identifying new business and market opportunities. Her knowledge, strategies and dedication have helped her clients to expand their market shares by over 50%. Linh now resides and works in Vancouver with her husband and their two beautiful children. 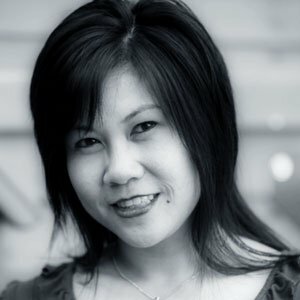 After hiring her own live-in nanny and fueled by her own personal passion to help others, Linh recognized she could use her expertise in business relationships, training, and payroll accounting to relieve other Employers of Caregivers from the logistics of paperwork and provide them tax saving advantages. After much research into the industry and achieving solid business networks, Linh became the Domestic Accountant Specialist of the industry. financial responsibilities when they hire someone for their home. Linh will be glad to personally advise you of your Caregiver Payroll tax situation.